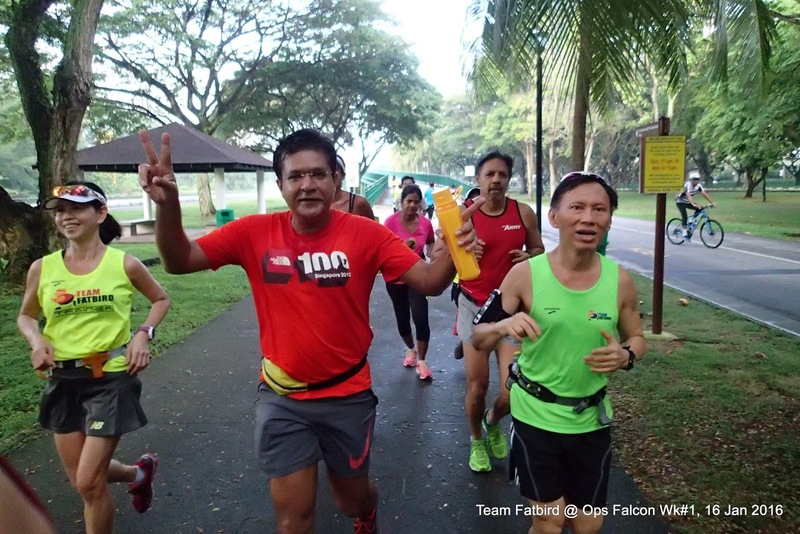 Operation Falcon, marathon training for 2XU Compression Run and overseas marathons (Tokyo, Seoul, Boston) got off on good footing at Parkland Green, ECP on Saturday morning. It was great to welcome the new flock of trainees, many familiar faces returning to better their 2015 performances for the new year, as well as new runners who were joining us for the first time in the hope of achieving their marathon goals in 2016. A customary welcome and program briefing was conducted, before the respective training groups were flagged off for their respective HM and FM training distances. These weekend long runs will be the staple of the Falcon training program to build up a strong aerobic foundation for all participants. 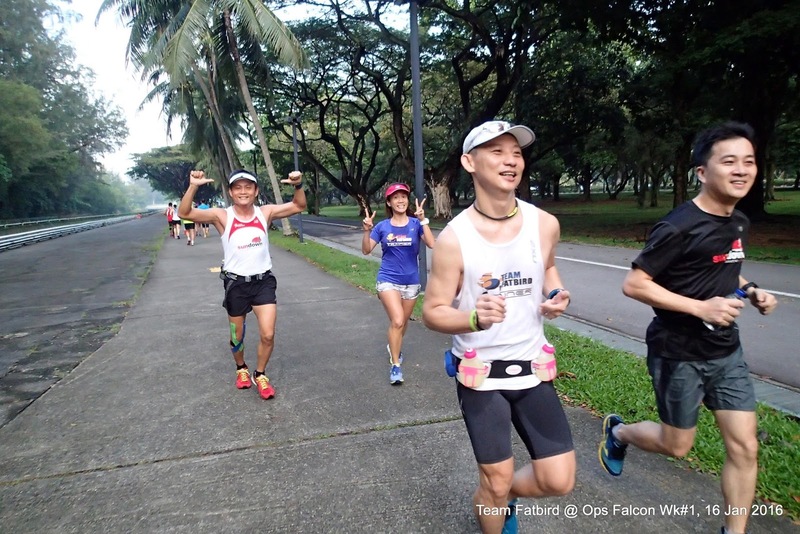 Coupled with the hills workouts and weekday tempos, the Falcons can expect to enhance their speed endurance to maximize their marathon potential in 12 weeks of structured build up. The Falcons were pretty happy to start off with Basebuild pace and were obviously enjoying themselves with the constant chatting and smiling whenever they catch sight of the camera person. 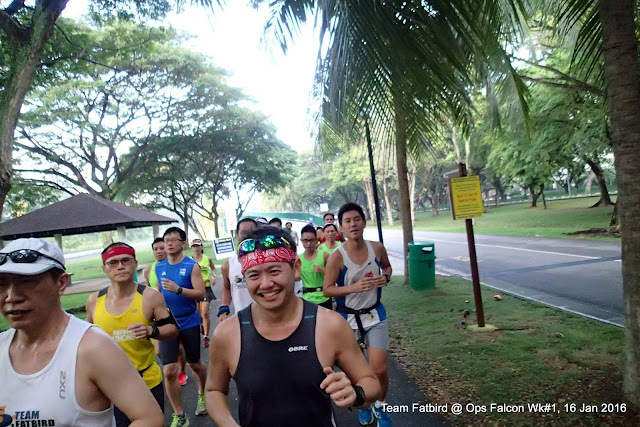 The stretch along East Coast Parkway (ECP) is always a favourite for easy runs and pacing as there are less elements to contend with and the distances are known with a good network of public toilets and drinks dispensers. 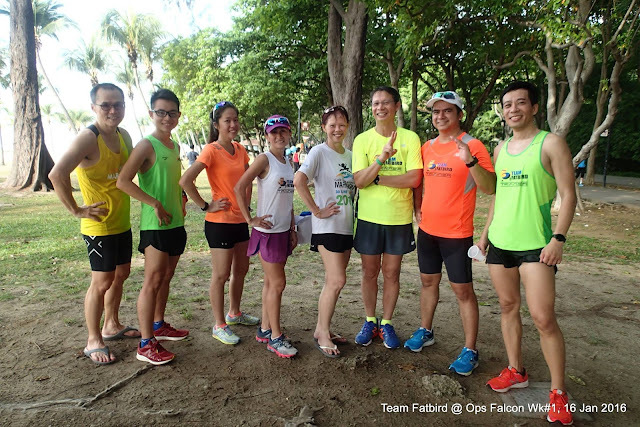 Over the course of the 12-week training, we will be using various terrain in Mt. 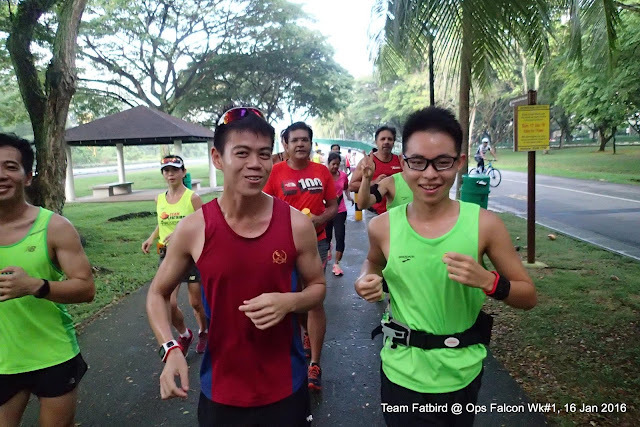 Faber, MacRitchie Reservoir Park, Sports Hub and of course ECP. 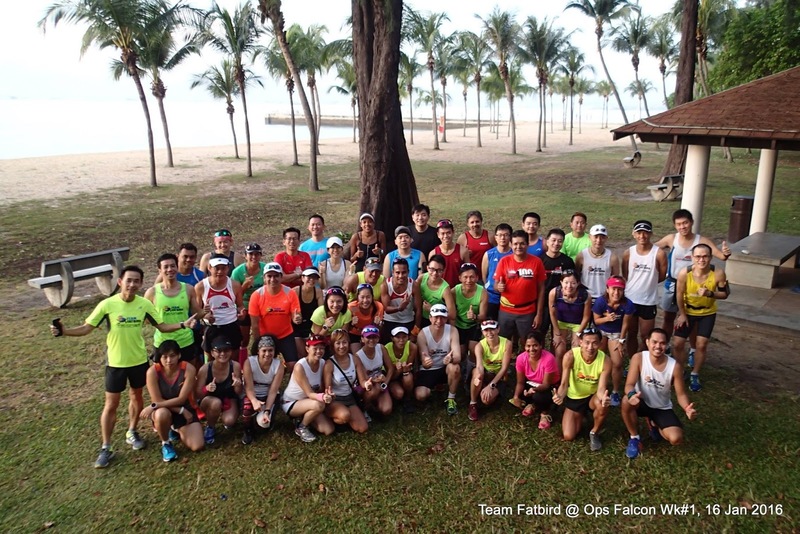 The Falcons completed their first training run with strength and quiet confidence. 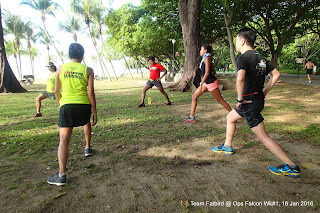 They were shown some stretching techniques by the trainers and ended the session with stretching and mini debriefs. 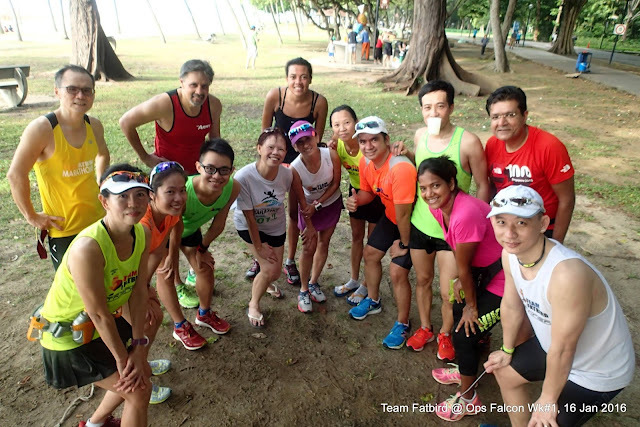 Those who are looking for a proven marathon training program are welcome to sign up for Ops Falcon to train for a successful race – Register Here For Training! The Falcons Got Off To A Smooth PowerFlight Start! OPERATION FALCON 2016: TRAINING BEGINS 16 JAN! 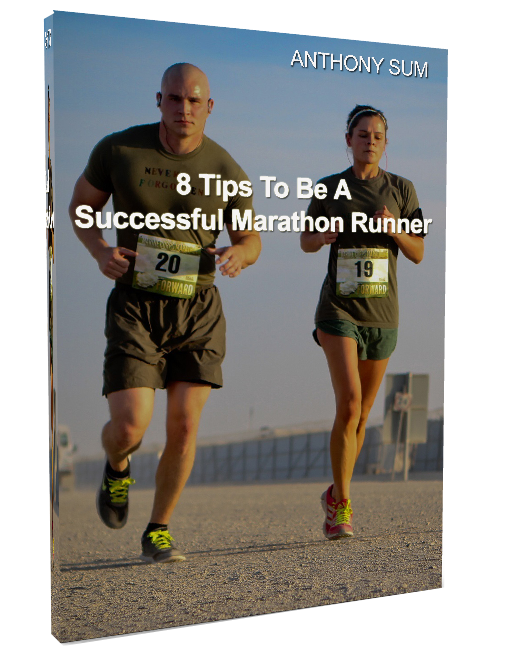 Are you looking for a tried and tested marathon training program to help to meet your targets for optimal success at your 2016 races? 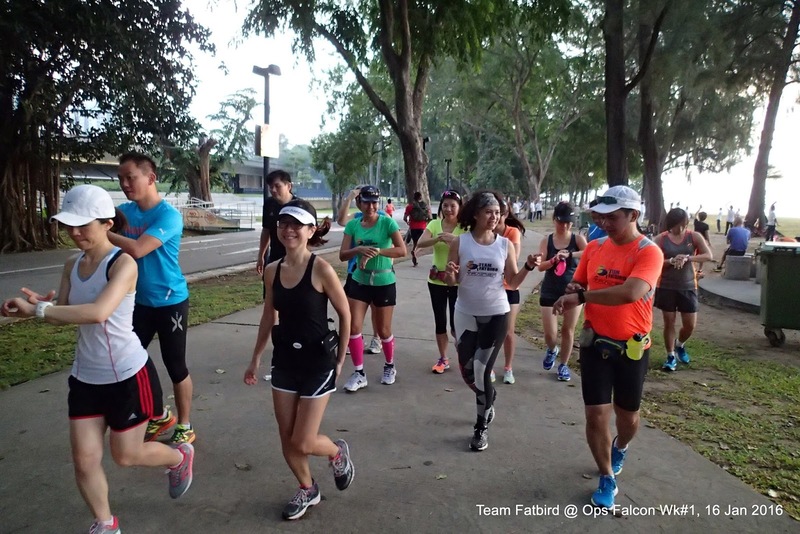 Team FatBird is happy to launch Operation Falcon 2016 – our tried and tested 12-week FlightZONESTM and POWERFlightTM structured training program to support your marathon training preparations for 2XU Compression Run, Run 350 and International Marathons (Hong Kong, Tokyo/Okinawa, Seoul, Boston) in 1Q 2016. Training Starts 16 January 2016! 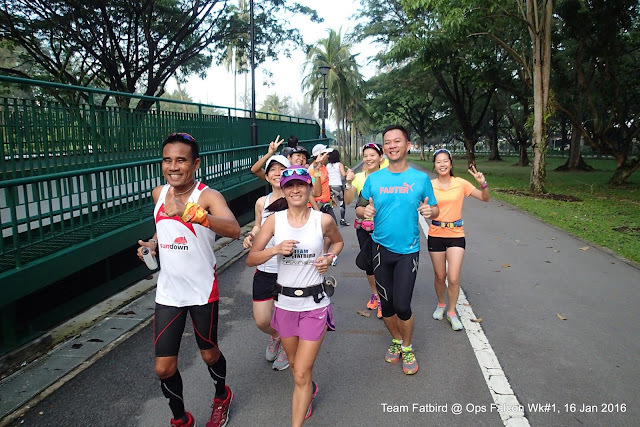 • A 12-week program comprising of weekday tempo/strength/hills workouts and one weekend long run, weekly. 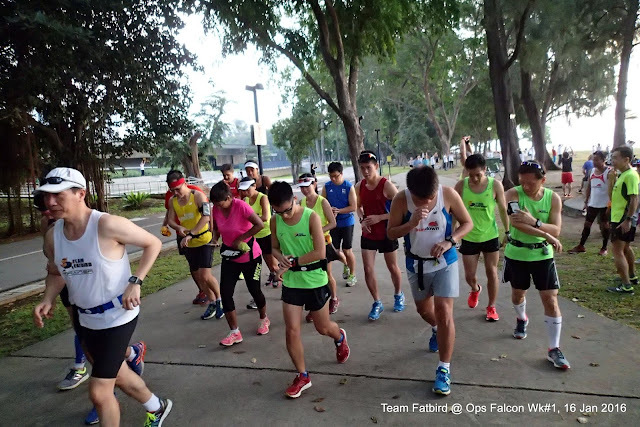 • Group Workout sessions will focus on building strength and endurance for the 21km and 42km distances, with a good mix of tempos, hills, repeats, coupled with weekend LSD and pace runs. Click HERE Training Dates/Schedules for your planning purposes.